The Golf Challenge game is one of our add-on options for your event. 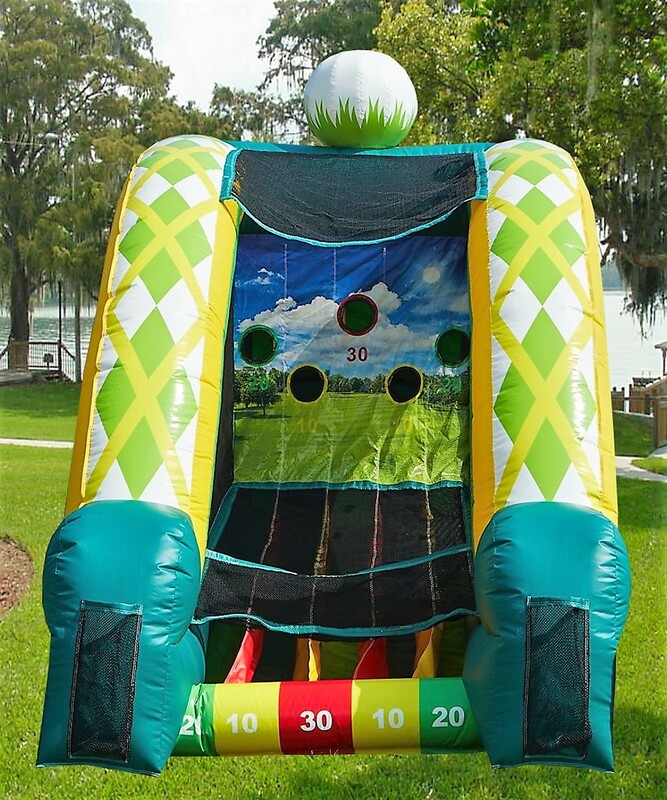 Popular among kids and adults, our inflatable golf game is a great way to entertain in events of any size. Recomended for kids 7 and up to adults, it can easily engage children and parents in a fun golf game. 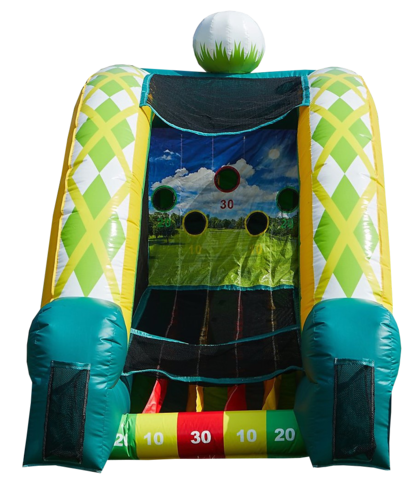 Add an inflatable slide, an obstacle course, a bounce house an concession machines and it will be the perfect event combination.